Sentosa at the Imbiah station. But if your time is limited and would rather want to spend much of your time in the destination more than in travelling, you can always hire a taxi cab straight to it especially if you're coming from the airport. 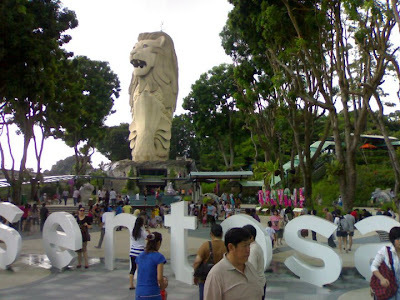 Getting lost in Singapore is not an option as everybody speaks English, so you could always ask for directions. Otherwise, just grab some map and flyers at the airport and you're ready to go. 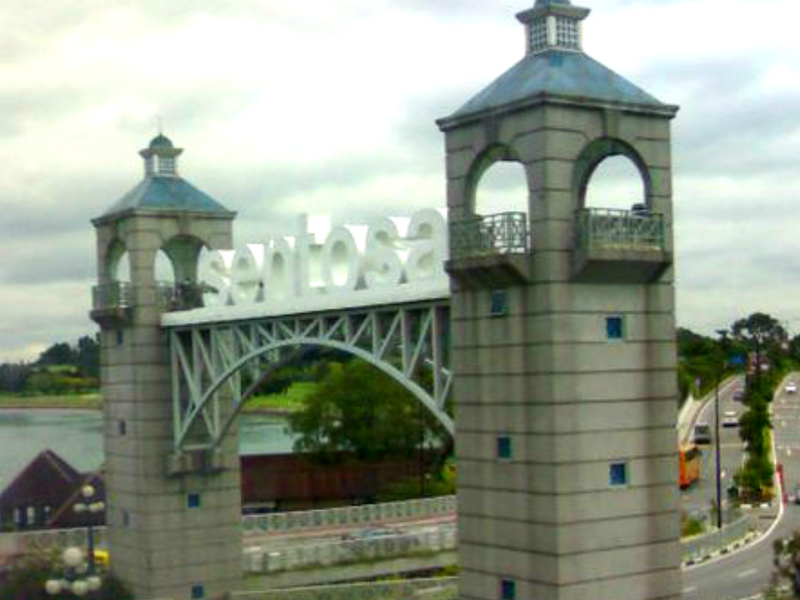 Reaching Sentosa is like entering a magical kingdom where you are given the go signal to turn on your childlike charms and just be ready to be blown away in all your experiences! 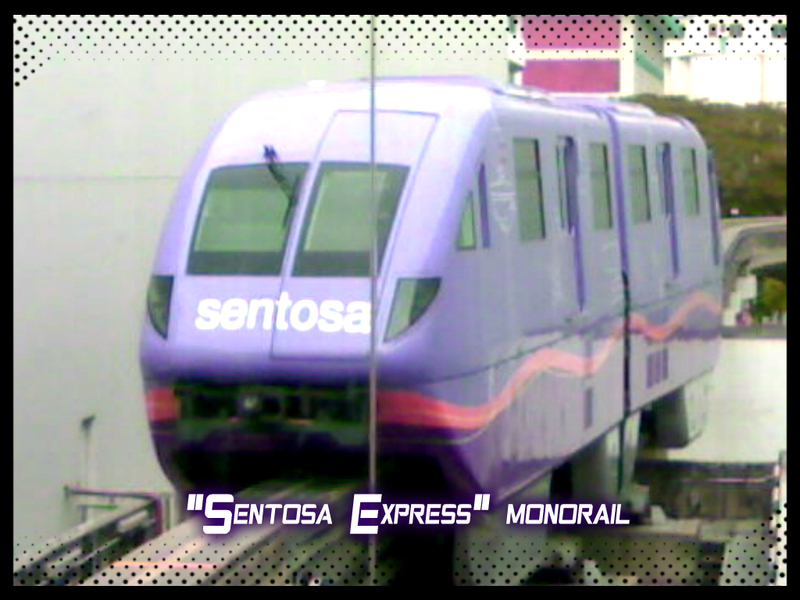 at Vivo City's Sentosa Station for the light rail - Sentosa Express. 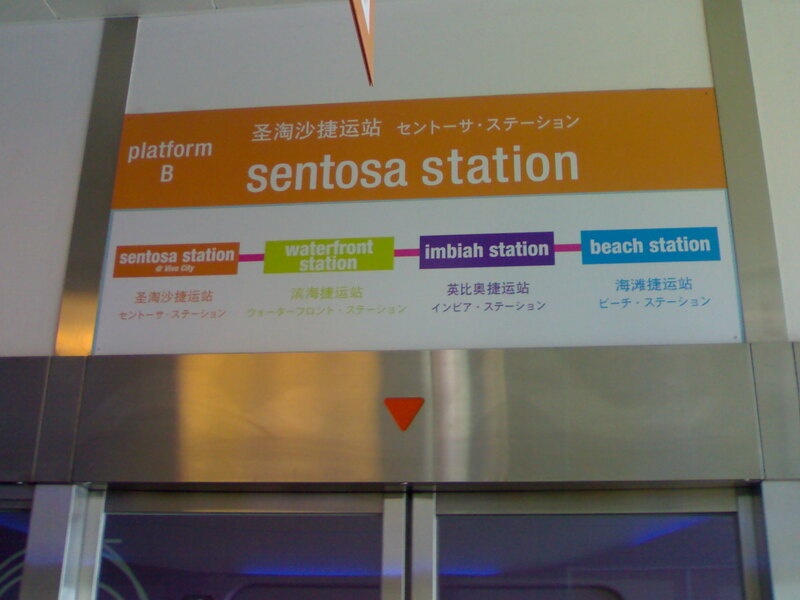 From Sentosa Station at Vivo City, the Sentosa Express will take you to three stations: Waterfront Station, Imbiah Station and Beach Station. Here you're given choices of either going out immediately for a life-in-a-movie type of adventure or opt for nature-pack experiences outright on the last two stops. Why movie type? 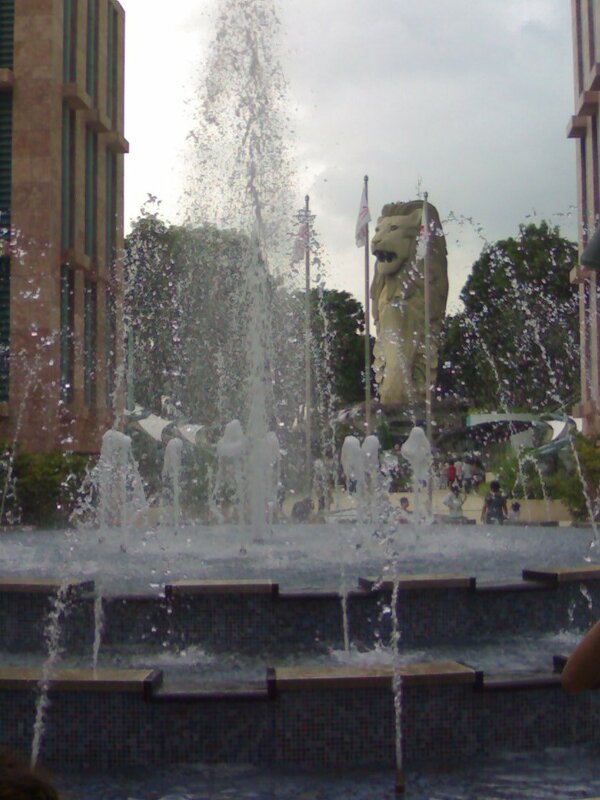 It is because Universal Studios, the Lake of Dreams, Casino, Resorts World Sentosa and several Hotel and shops are here. So if you love roller coaster rides, universal studio movies, Hersheys chocolates, or just want to play in the Casino, your stop's here. Just be sure you have enough time here because time flies fast especially when you're going for the rides and amusements. Otherwise, just take pictures and walk further up especially if your body wants to rejuvenate. 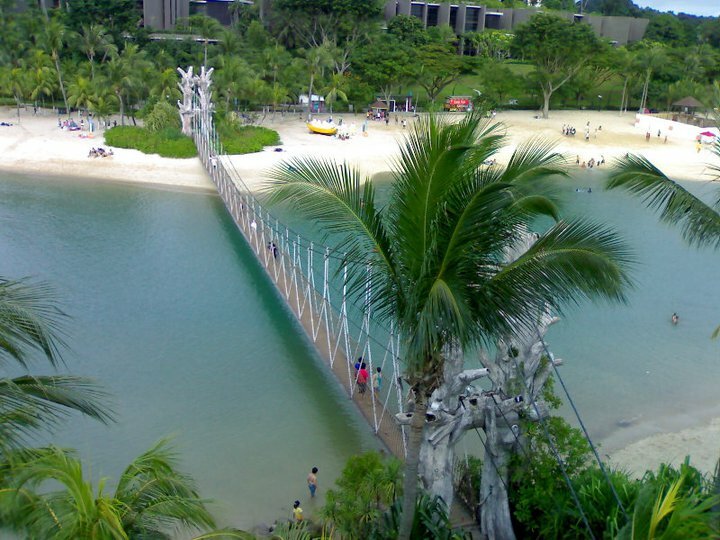 Calm your senses as you tour Sentosa's Nature Discovery at the Imbiah Station and take the nature trail to see the views of the island and the iconic Merlion. Strolling further would get you to the Butterfly Park and Insect Kingdom. Nature adventure rides are also available here like the MegaZip and the Tiger Sky Tower that lets you rise 131 metres above sea level and enjoy the panoramic view of the neighboring islands and countries like Malaysia and Indonesia. However, if you're really on a whiz, don't you ever miss visiting the Southern Most Tip of Continental Asia of Palawan Beach and the other two pristine beaches --- Siloso Beach and Tanjong Beach at the Beach Station. Inter-beach transfers are available also via Beach tram. Palawan Beach with the Southern Tip Island on the other end. 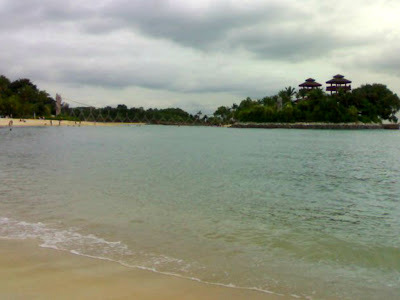 It is truly magnificent here to relax, stroll the beach and just take deep breaths or maybe dip into the water! More to that are great restaurants of varied cuisines and fabulous bars for party-lovers to last overnight. And if you have your children with you, the Songs of the Sea is a must-see experience of captivating music, water jets and pyrotechnics in one spectacular show. 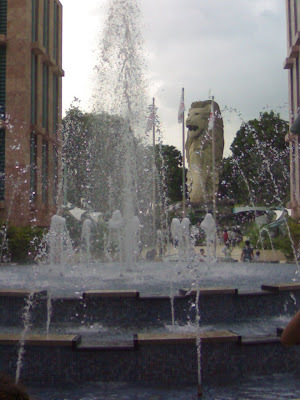 Add to that the Underwater World Sentosa and Dolphin Lagoon. A view from the Southern Most Tip of Continental Asia. Isn't it amazing? All these things you can enjoy in one place and at one time! Perfect for a whiz break but a lifetime of memories to enjoy! 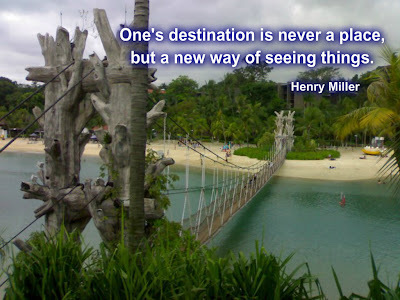 While it is indeed better to visit here for a longer stay, but if you're on a tight resource whether on budget or time, don't stop yourself from getting what you want. Everything is possible remember? Even spending nothing when in Sentosa is feasible because only when you buy things and food or take the rides will you need to pay. Except for the Sentosa Express at SG$3.50, of course, that truly some great things in here come for free! So, what are you waiting for? Experience it all here...with the people you hold dear! 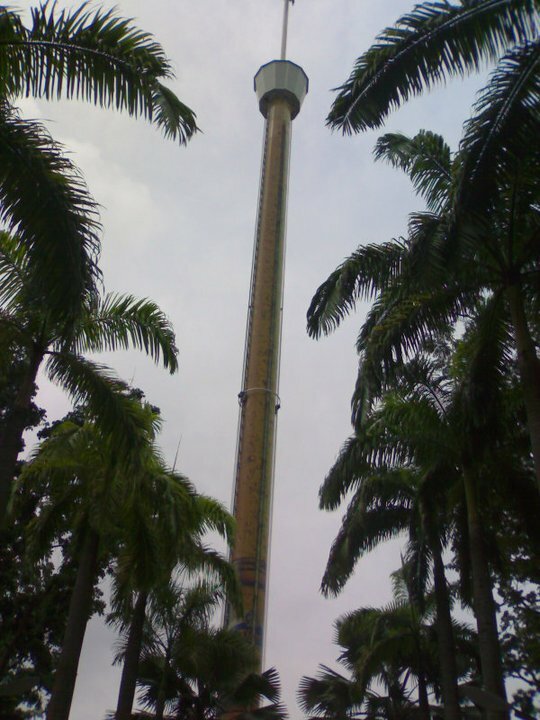 For more information on how to experience Singapore, go to Things To Do in Singapore and Jurong Bird Park. Enjoy! Remember, Travel light! Stay Inspired!